If you are looking to sell your home, in today`s saturated housing market, making a decision to work with a good Real Estate Professional is invariably a wise idea. 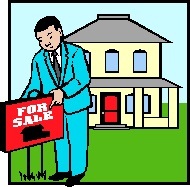 An experienced Agent can help you sell your home fast so that you can get on with your life. Our experienced real estate agents are ready to help you get your home ready for the market! Knowing how much your home is worth is a highly valuable piece of information.�Your home valuation depends on location, property size, condition, features, and real estate selling activities in your local area. Let us assist you with a Competitive Market Analysis of your home for you to best determine the value of your home.